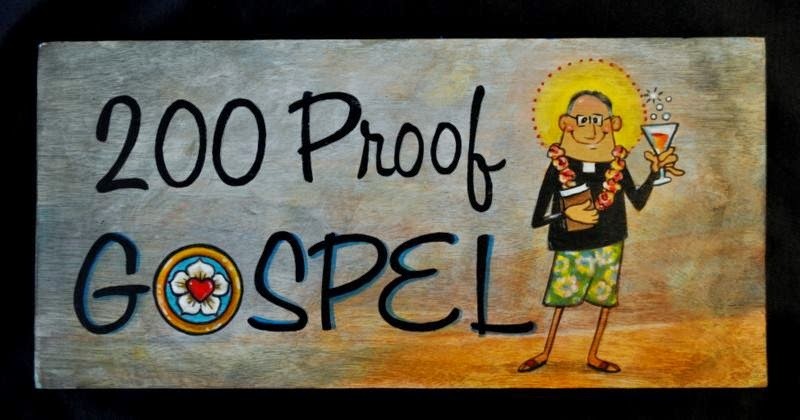 200 Proof Gospel.com: What's in a Funeral? We don't really like to think about it, but have you planned your funeral yet? Planning your own funeral is a great exercise in humility as it reminds us that we are but mere mortals and that from the dust we came and to the dust we shall return. It is also a great exercise in love, as no matter the circumstances around your passing your family will be grieving. If you are able to hand them your planned out funeral that will take a great load off their plate as they deal with their grief. Lastly, it is a great exercise in witness, as your funeral is your last opportunity you have to witness to your faith. To know that you have enough faith in the face of death to be able to plan your own funeral speaks volumes, and what you speak can have a great impact on those who are listening. If you decide to plan your funeral, contact your pastor on how you should proceed. I am sure he would love to walk you through the process and help guide you to appropriate Scripture and hymns for the occasion. Please be sure to heed his advice, as he is the one ultimately responsible for guarding the deposit of faith entrusted to your congregation and in charge of its worship life. It is his job to ensure that everything done faithfully confesses Christ, because Christ is the true focal point of our faith, our hope, and therefore a funeral service. While it is nice to talk about memories, if they are not connected to or grounded in the confession of faith then they are ultimately empty words that give no hope or comfort. I've sat through many non-Lutheran funerals that were simply awkward and gave no comfort because they did not understand the centrality of Christ and the Gospel message. There were no words of promise spoken, no words to give true peace and comfort. Instead, the deceased was the focal point of the funeral and you'd walk away believing that their salvation, if mentioned, was completely dependent upon them being a "good person". We know that this is not the case, and when we only look at our works we are left in despair. Instead, we can turn to Christ and share with people the confidence and certainty we have in Him. Through our baptisms, we were united with Him in His death and resurrection and received the Holy Spirit as the sign and seal of our faith. Through the Lord's supper we received His body and blood as it fed and nourished our faith. God's grace is poured out in the sacraments so no matter how strong a person's faith is we can have confidence in His promise. Because He died and rose, so shall we. Death is but a sleep as we await the resurrection. The resurrection, too, is often vacant in funerals focused on the person and not on Christ, but there is no greater source of comfort than the resurrection. This promise is made clear in the Lutheran liturgy for a funeral. As you prepare your funeral, familiarize yourself with this liturgy. Let you pastor explain it to you so that you can see the beauty of it all. And then, add your own mark through the readings and hymns so that people hear of this Jesus, the one who died and rose again so that we may have life. Amen. Well it's a pretty religious blog.Commenting on such blog is always very controversial.However,I approve with some of the things written about the funeral but obviously not all. This is really very inspiring article. Thanks for posting this. its really very unique. actually i should admit it about Funeral. if you are looking for cremation packages funeral home florida, Then you can visit goinghomecremations.com for further details.